Josh has been in ministry for over a dozen years, and has spent about half of that time at WCC as the Worship and now Lead Minister. He is passionate about leading people in worship, drinking coffee, listening to music, and building relationships with people in the church and community. Josh and his wife, Corrine are excited to see how God is going to continue to grow His church in rural Iowa, and they both look forward to being a part of ministry for years to come. 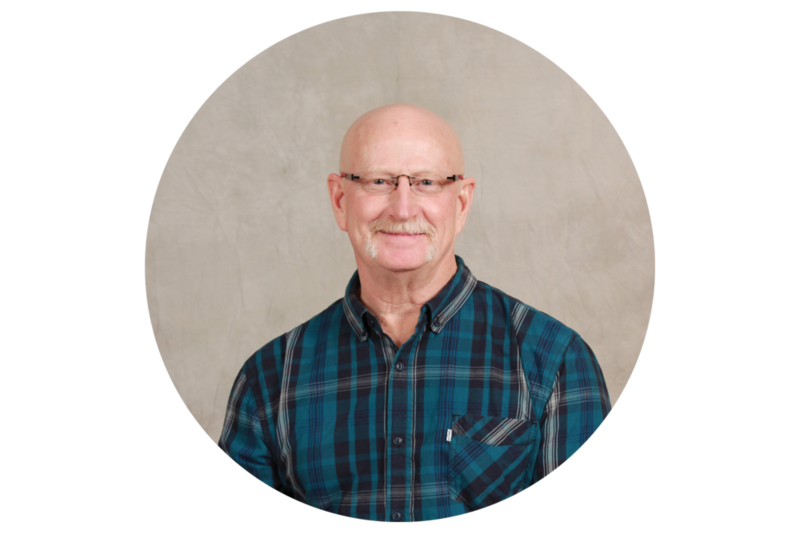 Mike began preaching at WCC off and on in 2012, but came on staff as the Preaching minister in 2015, where he has led the congregation with his teaching and inspired the church to become great at "creating Christ-like communities, one neighbor at a time." Mike is a graduate of Nebraska Christian College, and he became an NCC Associate Professor of Youth Ministry in 2011 to focus on helping the emerging generation of youth leaders clearly communicate the gospel message to today’s postmodern culture. He previously spent 13 years in ministry, both as a youth minister and as a senior pastor. Mike keeps pretty busy with teaching at NCC, preaching at WCC, and mentoring youth ministers in the field, but he also loves spending time with his wife, Jolynn, and their two kids, Lydia and Simon. He has also completed 7 marathons so far (and counting!). Brenda graduated from Ozark Christian College in 2005 with an Associates Degree in Bible and Elementary Education. It was at OCC where Brenda met her husband, Bryce, and they were married in 2004. Brenda and Bryce have 4 wonderful children – Jayden, Josiah, Jocelyn, and Johanna. Their kids are super active and enjoy being involved in almost any activity they can get their hands on. During any spare time she has, Brenda enjoys running, going to movies with her husband, and spending time with friends (especially when it involves laughter). Brenda's favorite verses are found in Romans 12:9-13, “Love must be sincere. Hate what is evil; cling to what is good. Be devoted to one another in love. Honor one another above yourselves. Never be lacking in zeal, but keep your spiritual fervor, serving the Lord. Be joyful in hope, patient in affliction, faithful in prayer. Share with the Lord’s people who are in need. Practice hospitality.” These verses depict what it is like to be a follower of Christ and Brenda strives to be more like Him daily. It is also Brenda's prayer that the children involved in the ministry at WCC will learn to follow these verses as they grow in their relationship with Christ. As a member of the WCC staff, Brenda is excited to see what God has in store for this community and this church in the days, months, and years to come. Jed and his wife, Sammie, have lived in Whiting for nearly two years now as Jed has been serving as the youth minister here at WCC. Jed, a recent graduate of Nebraska Christian College, is passionate about serving students in Whiting and the surrounding communities. His favorite superhero is Iron Man (but really he loves all things Marvel), he digs video games, and is a Lego enthusiast! Jennifer graduated from John Brown University in 1998 with a bachelor’s degree in Business Administration. She has been married to her husband Rick for almost 19 years, and they have 3 beautiful children – Ethan, Jonah, and Chloe. Jennifer and her family keep very busy with all of their sports and extra-curricular activities. When she does have some free time, Jennifer enjoys reading, spending time with friends, and watching those cheesy Hallmark movies. Jennifer loves working at WCC, and she is passionate about seeing God's vision for the church realized. Jennifer has a couple of verses that she holds near to heart: Hebrews 11:1 & 6 says “Now faith is confidence in what we hope for and assurance about what we do not see…and without faith it is impossible to please God, because anyone who comes to Him must believe that he exists and that he rewards those who earnestly seek Him.” Jennifer strives to be a wife, mother, co-worker, and friend who earnestly seeks God first.